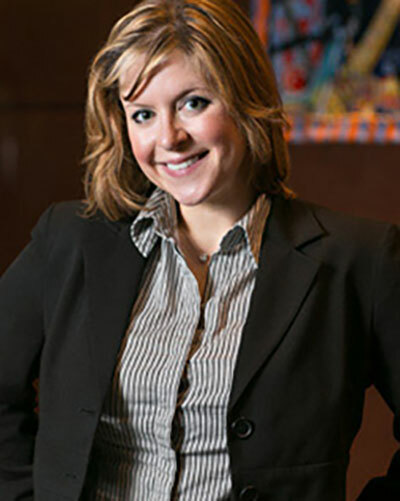 Robin Penzato Arnold is an associate with Winsberg & Arnold, LLC. Mrs. Arnold obtained her Juris Doctor from Loyola University College of Law, where she was a member of the Moot Court Board, participating with the National Moot Court Team and Bankruptcy Team. Upon graduation, she received several academic honors and was selected for membership in The Order of Barristers for her written and oral advocacy skills and accomplishments. Before entering private practice, Mrs. Arnold clerked for the Honorable Christopher J. Bruno in the domestic division of Orleans Parish Civil District Court. She maintains an active general and civil litigation practice with a concentration in Family and Domestic law. Her practice involves complex legal issues of divorce, custody, support, marriage contracts, property disputes, and all other aspects of family law. Always abreast of the changes in family law and judicial mechanics for resolving these issues, Mrs. Arnold works closely with Mr. Winsberg to provide efficient and exceptional legal representation. In addition to her practice, Mrs. Arnold frequently serves as a guest lecturer at Loyola University College of Law and is a contributing author of the Louisiana Family Law Treatise.